New! Redesigned for easier Assembly and installation. Hand laid molded fiberglass top in wind deflecting design with annodized aluminum reinforcing grid. Fiberglass white exterior, with gel coated interior. Choice of two hardtop sizes; 54” x 70” and 63” x 84”. 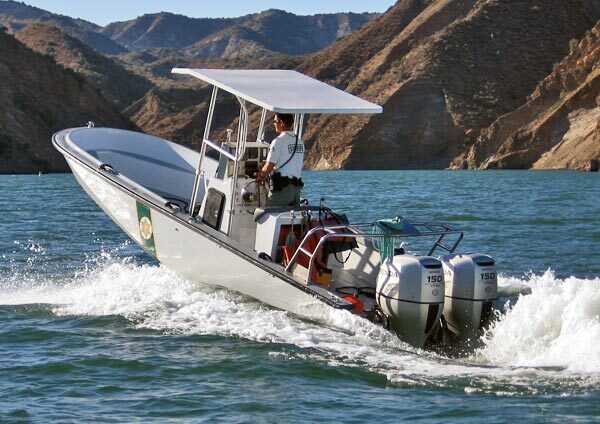 Owners of boats in the 17’ to 21’ range will likely prefer the 54” x 70” top, although with a larger boat, the 54” x 70” will provide plenty of coverage and minimum interference. 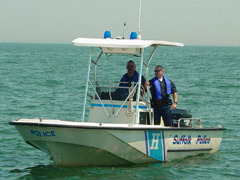 The 63” x 84” has been installed on boats to 34’ with 9’ beam. This top is nearly 37 sq. feet and provides plenty of coverage for larger boats. There is a molded in 2” perimeter overhang, providing for easy fitting on a full gunnel width enclosure. Of course, if you are actively fishing light tackle, the “telephone booth” style enclosure is for you. you. 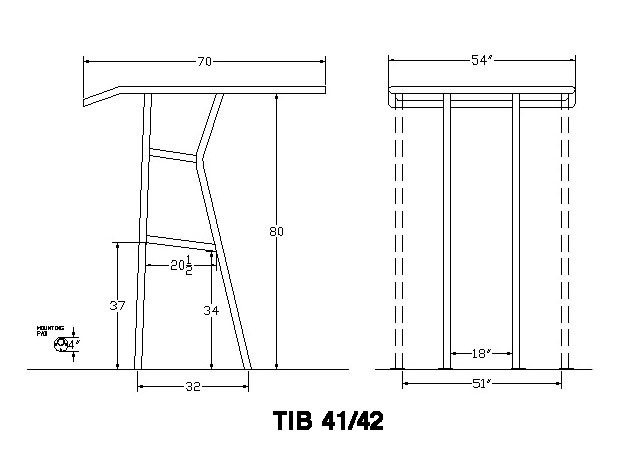 Fully beam-adjustable legs, will fit consoles widths up to 50" wide with the 54" x 70" hardtop and 59" wide with the 63" x 84" hardtop. Offset feet, allow legs to be placed tight to sides of console. Light weight; An all fiberglass hand laid T-top doesn't have to be heavy, the 54" x 70" T-top weighs about 100 pounds, and the 63" x 84" just 25 pounds more. 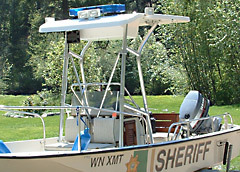 Radar, antennas, flood lights and navigation lights mount directly on the hardtop, while wiring may be concealed inside the frame and leg structure. 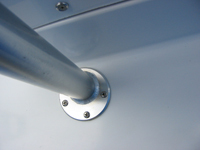 Eight mounting points secure the Atlantic Commercial Duty Fiberglass T-top to the deck in four locations and to each side and the centerline of the console. Adjustable sway braces are standard. Optional 4 rod Rocket Launcher. 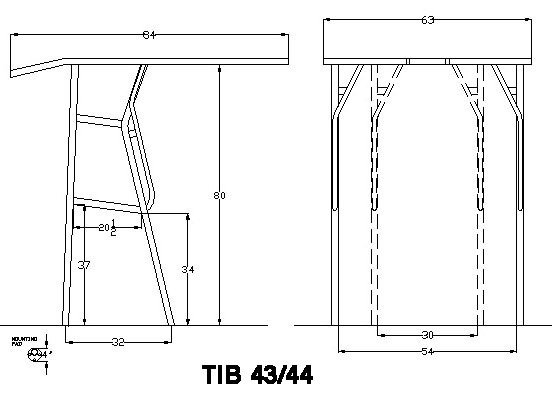 Wide leg configurations to accommodate side doors in console or other special requirements $100. 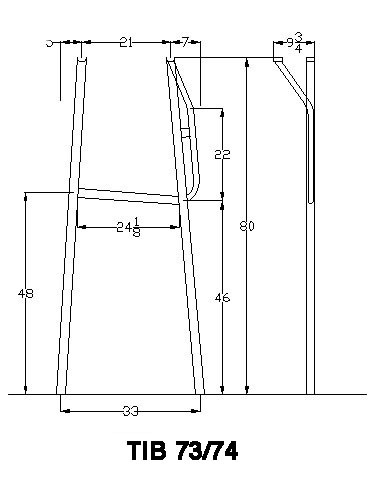 MA22600 Anchor/Running Light, a two way navigation lamp installed on an anodized aluminum mast with anodized finish to match the T-top supporting structure Functions as all round light with both sides illuminated, or forward steaming light with just forward half illuminated. Mounts directly on fiberglass T-top $159. Will the Commercial Duty Fiberglass T-top fit my center console boat? 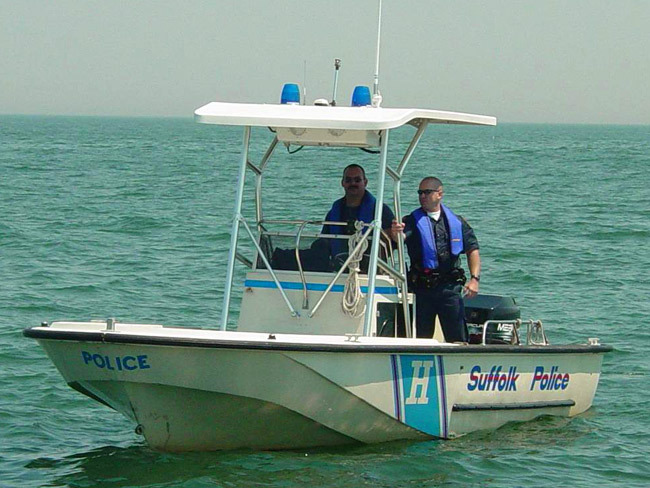 Because of it’s adjustability the Commercial Duty Fiberglass T-top will fit 90% of center console boats. 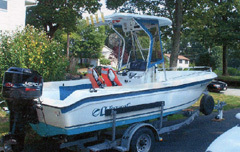 Inboard powered center console boats, where all or part of the console tilts, center console boats with larger openings such as side door to head or storage compartments may require special hardware or leg configurations. Call us with any questions. Can I install the Atlantic Commercial Duty Fiberglass T-top myself? How is the Atlantic Commercial Duty Fiberglass T-top shipped to me? 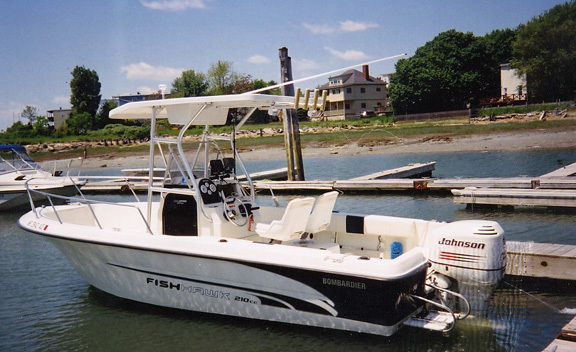 What happens if my Atlantic Commercial Duty Fiberglass T-top is damaged in shipping? 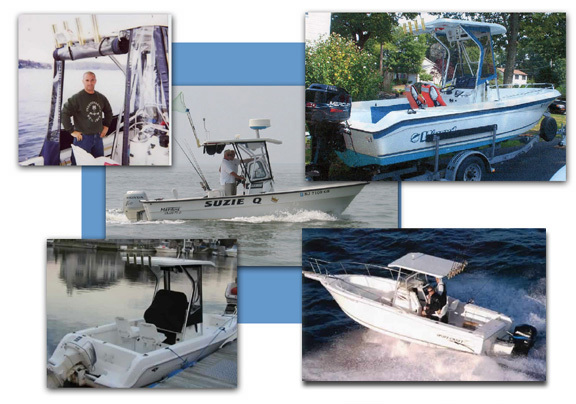 Atlantic Towers wants you to enjoy your boat, not spend the season chasing a freight claim. 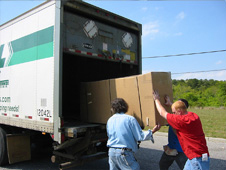 If your Atlantic Commercial Duty Fiberglass T-top arrives damaged, just refuse the shipment and we will send you a new one at no additional cost to you. 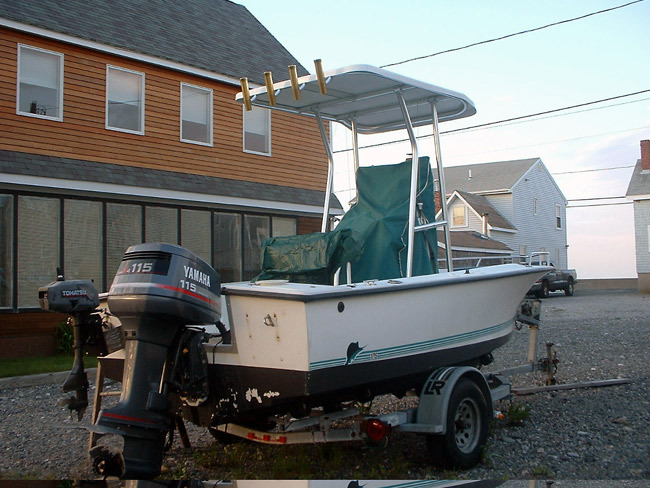 Can I return my Atlantic Commercial Duty Fiberglass T-top if I decide I don’t want to keep it? Is my Atlantic Commercial Duty Fiberglass T-top guaranteed? How do I get my Atlantic Commercial Duty Fiberglass T-top? 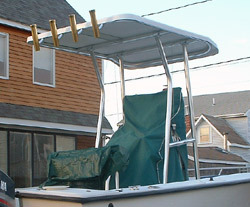 You can purchase an Atlantic Fiberglass T-top direct from Atlantic Towers.